A hydroquinone-free treatment for unevenly pigmented skin. This skin brightening treatment helps diminish the appearance of unwanted dark spots and brightens the skin for a more even tone. This clinically tested, breakthrough formula does not include hydroquinone. 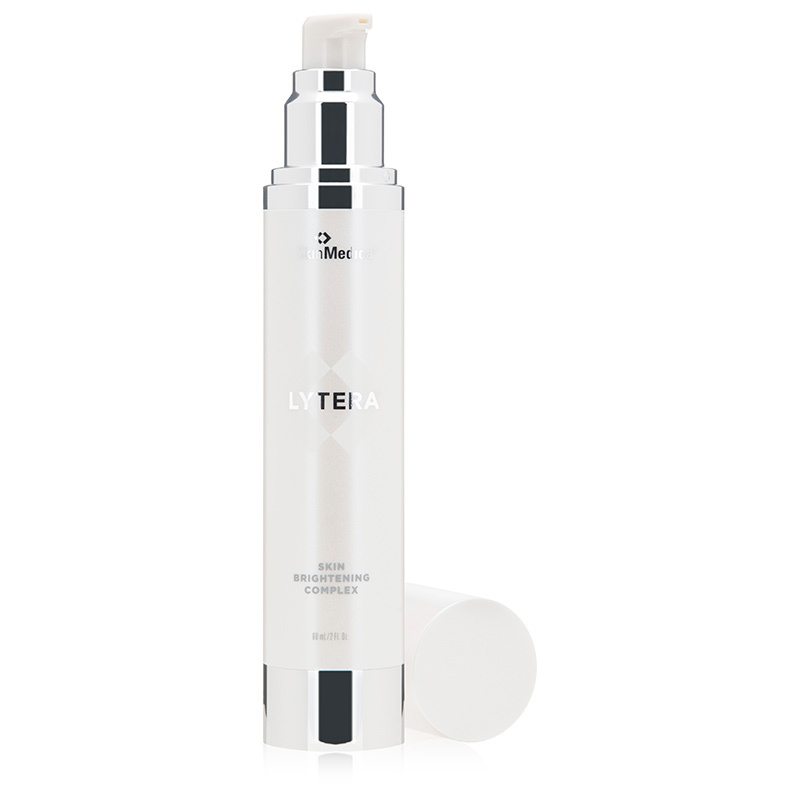 SkinMedica Lytera Skin Brightening Complex targets, corrects and helps prevent hyperpigmentation to promote a radiant, more even complexion. Licorice root extract diminishes age spots while advanced peptides decrease excess melanin production deep in your cells. Retinol speeds new, healthy cell growth and vitamin E neutralizes free radicals to prevent further environmental damage. AM/PM Apply to face, neck and dcollet or affected areas twice daily. Use daily sun protection with SPF 20 or higher during use of this product. A temporary warm, tingling sensation may occur immediately after application. Avoid getting in eyes. If contact occurs, rinse eye thoroughly with water. Water/Aqua/Eau, Niacinamide, Butylene Glycol, Tetrahexyldecyl Ascorbate, Polyacrylate-13, Caprylic/Capric Triglyceride, Tetrapeptide-30, Hexylresorcinol, 4-Ethoxybenzaldehyde, Retinol, Glycyrrhiza Glabra (Licorice) Root Extract, Ethyl Linoleate, Dunaliella Salina Extract, Tocopherol, Squalane, Cetyl Ethylhexanoate, Glycerin, Polyisobutene, Polysorbate 20, Phytic Acid, Disodium EDTA, Ethylhexylglycerin, Potassium Sorbate, Phenoxyethanol.